Here is an engraved Honour Laurel Award, 18.5cm high, with a black base and plate for engraving. 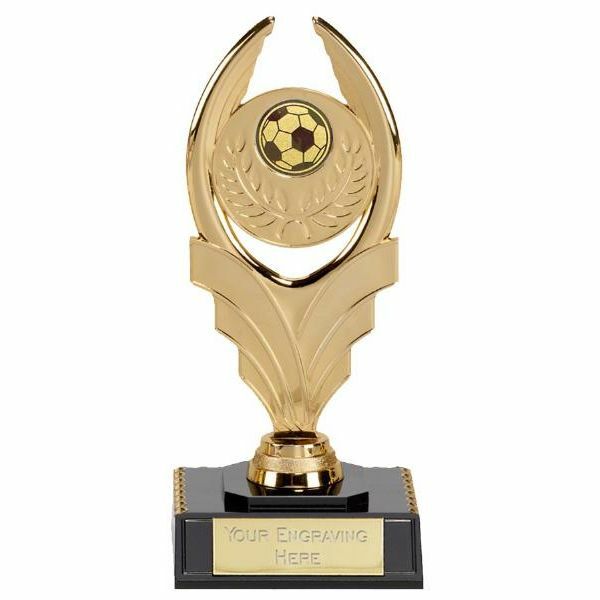 This award may be personalised to suit your event with a choice of centres and up to 50 characters engraving is included in the price. Additional characters to personalise your award are charged at 15p/character. The engraved Honour Laurel Award is postage band B.